The Hidden Heart: Goal Kit+ FREEBIEs! I'm here to show you my new releases! Do you like soccer? Do you have a lot of soccer photos to create amazing pages about it? That's great! So, I have a good news for you... I released my new kit... GOAL! "Are you a soccer fan? REALLY? Great! This kit is perfect for you! With this one, you'll create amazing pages about it for your son, daughter, brother, sister, niece, nephew, grandson, and much more! This kit contains 15 papers, 40 elements and 1 alphabet." Did you like it? So, enjoy the 20% OFF until TOMORROW! Do you like FREEBIES? Everyone likes it! 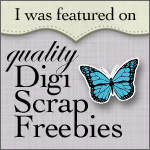 So, i'm with a new freebie for you! Didived in 3 parts! You can download the first part here, at After Five Designs. Did you like it? Do you want the second part? Go to my Facebook Page, LIKE it and download it! Easy, huh? So, let's do it! This freebie is for a limited time! Just found this and signed up for your NL - hope I get part 3. Thank you very much! I know I'm a little late but would love the 3rd part of the freebie! I just signed up for your newsletter! looks goods thank you, will go check it out. I sent an email to you requesting the 3rd part. Thank you so much!